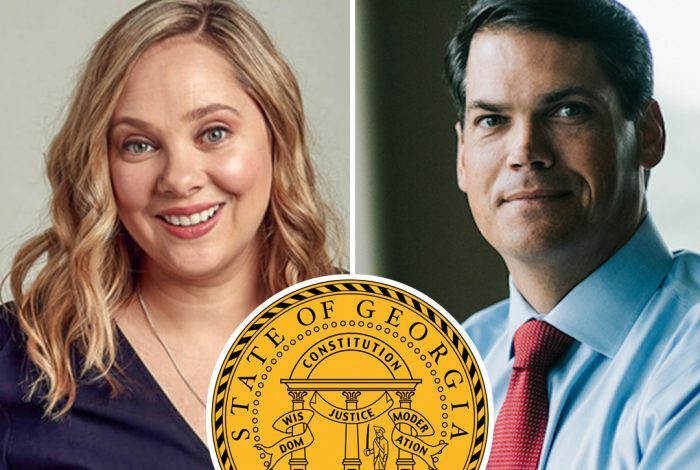 The big-ticket races in Georgia, which drew national attention, have been decided — but the battle over the controversial way the state runs its elections rages on. A lawsuit contesting the outcome of the lieutenant governor’s race could provide a rare glimpse into the Peach State’s elections infrastructure and an opportunity to audit its non-transparent voting machines. The lawsuit, filed by an election integrity group and three Georgia citizens Friday night, will attempt to prove that there were enough irregularities “as to place doubt in the result,” as state law requires for an election contest. At issue are unusual election results that the lawsuit says can only be explained by voting machine malfunctions. To prove that something is wrong, the plaintiffs will need to conduct detailed reviews of the internal memory and programming of DRE voting machines, a level of access that has never been allowed in Georgia. At the heart of the suit is the reliability of the state’s electronic voting machines and an opportunity to peek under the hood of how former secretary of state and current governor-elect, Brian Kemp (R), ran the elections. The group responsible for bringing the lawsuit, the Coalition for Good Governance, is already involved in two ongoing federal cases against Georgia for its use of hackable voting machines and for discriminatory practices in how counties process mail-in absentee ballots. The group has pushed aggressively for the use of paper ballots in elections as a solution for well-documented election security problems associated with the use of DRE voting machines. The court challenge focuses on those machines, highlighting systematic errors resulting in voters being shown the wrong ballots or causing vote selections to be switched, and precincts reporting more votes than there were possible voters. The Coalition is focusing on the lieutenant governor’s race because of an eye-catching irregularity: far fewer votes were cast in the state’s second-most-important race than in any other statewide contest — including less visible races. Georgia is being challenged in court, with the reliability of DRE voting machines at the center of the suit. But if errors are found in this election, it may cast doubt on the outcomes of other elections, such as the secretary of state’s race, which is headed to a December 4 runoff. 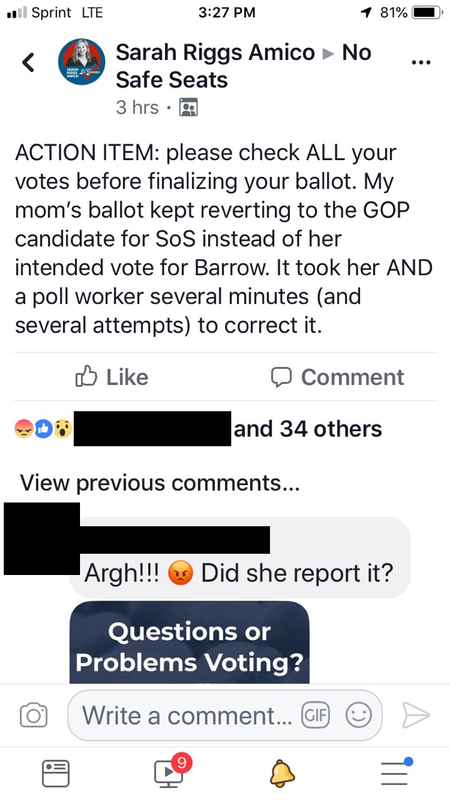 The mother of Democratic candidate for lieutenant governor, Sarah Riggs Amico, had trouble casting her vote for the secretary of state race. 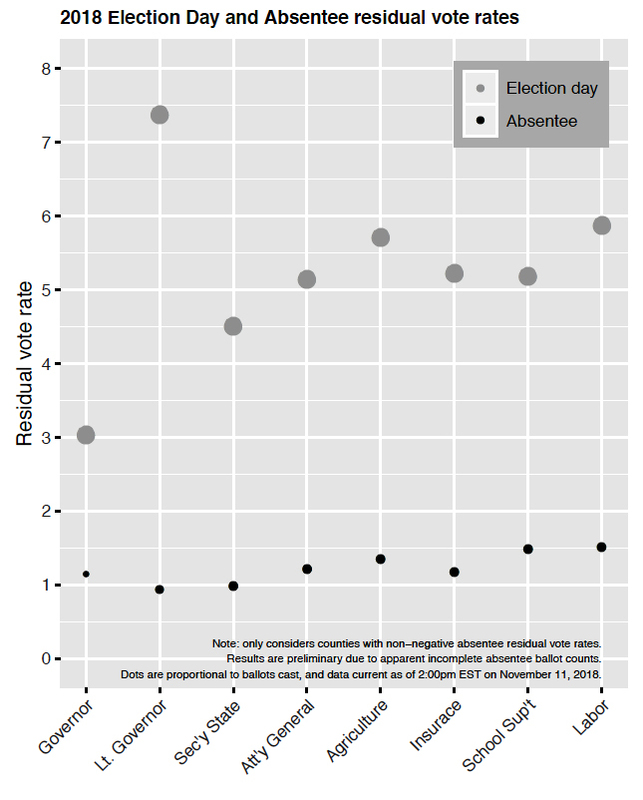 Voter drop-off is a common phenomenon, where voters tend to vote most often for the races at the top of the ballot while skipping down-ballot contests. The strange thing about this race is that the lieutenant governor’s race was the second on the ballot, after the gubernatorial contest, yet it received fewer votes than the 10th race on the ballot — the Public Service Commission, District 5. As it stands now, Republican Geoff Duncan (51.63 percent) won the election over Democratic candidate Sarah Riggs Amico (48.37 percent). If the court case is successful, the race will have to be re-run. The lieutenant governor is the president of the state Senate and is responsible for the movement of legislation through the chamber, according to the state’s website. A Democratic lieutenant governor would have been able to slow or derail Republican bills that otherwise had support from the Republican-held state legislature and governor’s mansion. The governor, lieutenant governor, attorney general, and other statewide races are held every four years. Data on the secretary of state’s website, which goes back eight election cycles to 1990, shows that the lieutenant governor’s race has never before had this kind of relative drop-off. The data analyzed by Michael C. Herron, a professor of government at Dartmouth College, shows that the anomalous undervote is limited to ballots cast on DRE machines. On mail-in paper ballots, votes for lieutenant governor failed to be recorded — because the vote was invalid, or there was an error in counting the vote, or a vote wasn’t cast for that race — less than one percent of the time. 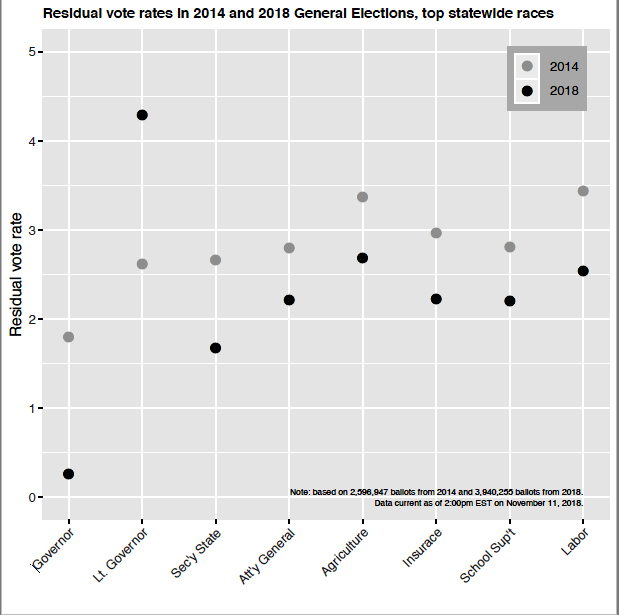 On DREs used on Election Day, that rate jumped to almost 7.5 percent, a larger jump than for any other race. Amico’s campaign, which is not responsible for the election challenge, noticed these strange vote totals in the election results. On November 12, five days before the state certified the election and four days after Kemp resigned as secretary of state, Amico sent a letter to acting Secretary of State Robyn Crittenden. Citing the “significant anomalies,” Amico requested that the secretary of state audit and test DRE machines, and recount the votes on memory cards from those machines. The fact that the election results can’t be verified — and therefore neither can any allegation of anomaly or error — is a central argument in the election challenge. “Crucially, Georgia’s DREs do not create or retain any verifiable or auditable non-electronic record of the voter’s selections. Hence, programming errors or malicious manipulation of the software is likely to be undetected,” the lawsuit says. In addition to requesting a new election for lieutenant governor, the lawsuit asks that the election be conducted without DRE machines — that is, on paper ballots.